If you are injured by the carelessness of another motorist in a traffic crash in Southern California, after you obtain medical treatment, consider discussing your rights and options with an Orange County personal injury attorney. 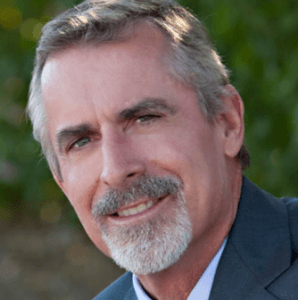 A good Southern California personal injury lawyer will investigate the crash, interrogate the witnesses, analyze the medical results and the police report, explain your rights and options, and tell you if you have legal grounds to file a personal injury lawsuit – and how much that lawsuit could potentially be worth. If you do have legal grounds and you choose to file a lawsuit after being injured in traffic, you’ll surely want to know the value of your case. 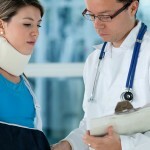 Liability is the main issue when determining the value of a personal injury case. Who was at fault? If the defendant you sue turns out to be only partially responsible for your injuries, you’ll receive less. The cause of the injuries must be accurately identified. Can the injury be directly traced to the traffic collision? Were there pre-existing injuries? If so, the value of the case will probably be less. Insurance is also key. How much is available? The more insurance that is available, the more value can be assigned to a personal injury lawsuit. But if a defendant is uninsured or underinsured, there may not be much to sue for. Along with the value of your case, you’ll also want to know how long it’s going to take. Some personal injury cases can take a year or more to resolve, and the most complicated cases – where multiple attorneys, multiple defendants, and large sums of money are involved – can take years to resolve, when you also consider the appeals process. If your goal is a quick settlement, that can usually be accomplished, but you may have to accept a smaller settlement amount. Legal or factual complications delay the case. A large sum of money is at stake. The plaintiff (that is, the victim filing the lawsuit) has not yet reached the point of “maximum medical improvement” from the injuries he or she suffered. 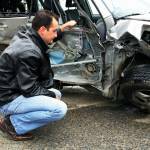 What kind of legal or factual complications can delay a personal injury case? In the most complex personal injury cases, there can be difficulties determining liability – that is, finding who was at fault – as well as difficulties determining the damages – the amount of compensation that an injury victim needs and deserves. When liability is difficult to prove, an insurance company is not likely to offer a settlement until the liability question is finally resolved. It is always the plaintiff’s burden to prove that the defendant was negligent and that the defendant’s negligence caused the plaintiff’s injury. WHAT IS OFTEN THE KEY PROBLEM IN PERSONAL INJURY CASES? If there are other legal issues in the case, probably no offer will be made until a judge rules on those issues. Often, however, the key problem in a personal injury case is arriving at a precise figure for the damages – especially if the plaintiff has sustained a long-term or permanent disability and needs ongoing compensation for medical treatment both now and in the future. Projecting potential medical expenses into the future is always “iffy” and is almost always a matter of dispute in a personal injury case. Moreover, whenever a large amount of money is at stake, a settlement is almost always going to be delayed. Insurance companies simply will not pay a substantial amount on a settlement until the company has completed its own investigation of every aspect of the case. In almost all cases, an insurance company will not offer a significant settlement amount until the company is persuaded that the plaintiff is truthful, that the injuries are as serious as the plaintiff claims they are, and the company has no defenses remaining against the plaintiff’s attorney’s arguments. Frequently, insurance companies will also refuse to settle in order to see if a plaintiff will cave in out of frustration and accept a less generous settlement. Since most people who are severely injured can’t work and have medical bills coming in, they can’t wait long. Insurance companies know this, and unlike injured plaintiffs, insurers have all the time in the world. Don’t let an insurance company cajole you against your will into accepting less than you need and deserve. 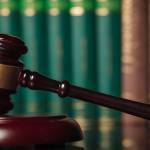 WHAT IF A PERSONAL INJURY PLAINTIFF HASN’T FULLY RECUPERATED? A somewhat more legitimate reason why a personal injury case can take time is because the plaintiff is still recovering from his or her injuries. When a plaintiff can wait, it is best to postpone a settlement until the plaintiff reaches the “MMI” point – the point of maximum medical improvement, which means that the plaintiff is as healed as he or she is going to get. If you reach the MMI point before you settle a personal injury claim, you and your attorney can more confidently put a precise figure on the damages you are entitled to receive. When a plaintiff cannot wait – even while knowing that waiting would increase the value of his or her claim – what’s the best way to get the best early settlement? There really are no rules or guidelines regarding “short” settlements. An insurance company might offer an injury victim a third of the amount that could be awarded in a trial. On the other hand, an insurance company could offer an injury victim as little as five percent of what the victim might receive at a trial – or nothing at all. If you have been injured in Southern California, but you do not want to spend a year – or perhaps longer – waiting to be compensated, an experienced Orange County personal injury attorney can probably settle your case quickly – and also explain what you’re forfeiting and the other risks of accepting a short settlement. Most personal injury attorneys would recommend staying the course and working for the maximum possible amount, but when you are a victim of negligence, the choice is entirely yours.